Pollution prevention (P2) means reducing or eliminating sources of pollution to prevent damage to the environment while also eliminating the need for costly controls and cleanup. EPA works with federal, state and local governments, businesses, non-governmental organizations, and the public to prevent pollution through a variety of voluntary initiatives and partnerships. P2 practices include modifying industrial production processes; using less toxic substances in manufacturing processes and products; using conservation techniques; and reusing materials. Find out more about what you can do, upcoming P2 events and P2 resources for business. Energy savings through steam efficiency. Due to its high heat content and transportability, steam production is a major force in manufacturing and industrial processes. It could be said that steam is a wonderful thing. Efficient generation and use of steam can provide a significant cost savings opportunity and minimizes its impact on a facility’s environmental footprint. To assist steam users in Kentucky, the Division of Compliance Assistance (DCA) and the Kentucky Pollution Prevention Center (KPPC) have partnered to provide The Wonders of Steam workshop to be held on September 28, 2017 from 8:30 a.m. to 3:00 p.m. at the Dow Chemical Company faciilty in Louisville, Kentucky. 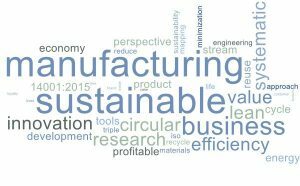 The theme of the workshop is energy savings through steam efficiency and is free to attend. Cheryle Eakle, Senior Sustainability Engineer at KPPC, shares that steam is often taken for granted. However, when leaks and malfunctioning traps occur it can add up to significant costs and cause operational problems. Steam experts speaking at this workshop will show how maintaining a steam system can save money. Topics to be covered will address the properties of steam, achieving steam efficiency, selection and operation of steam traps, insulating to reduce energy loss and an overview of boiler efficiency and regulations. A workshop agenda is available on the DCA website. The target audience for this workshop includes facility managers and owners, environmental health and safety professionals, and representatives of manufacturing and industrial facilities. Reducing steam energy waste lowers operating costs which leads to improved business performance and more sustainable operations. Energy and Environment Cabinet Secretary Charles Snavely has announced that seven organizations will share more than $1.6 million in grant funding to promote efficient technologies and practices in public and private-sector buildings. Recipients include education, utility service, local government, and waste water treatment organizations. Grant funds are provided under a 2011 settlement agreement for a Clean Air Act violation. The settlement required the permittee to invest in new and upgraded state-of-the-art pollution controls that will reduce pollution, save energy and protect public health and the environment. 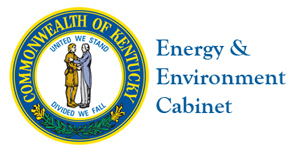 Kentucky received $11.2 million to implement environmental mitigation projects. Kentucky’s Energy and Environment Cabinet issued a request for proposals early this year to award unused funds from the 2011 settlement. The University of Louisville, Kentucky Pollution Prevention Center, received $105,426 to implement a building operator certification program. The program will train and certify facility managers on building operations to achieve energy savings. Read the full article to see all of the awards on the Northern Kentucky Tribune website.